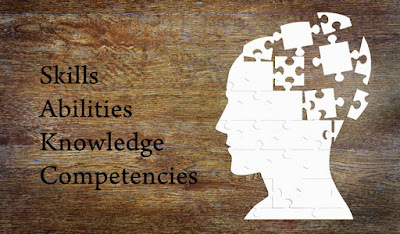 The terms ‘skills, abilities, knowledge and competencies’ are often used interchangeably to describe the same concepts. In general conversation this is fine, but when it comes to writing a job description, assessing candidate fit, or conducting a performance review, understanding the meaning and implication of each word becomes vital. Although the differences can seem small, they have a large impact on how we describe people in relation to their job and thus their perceived competence. For example, ‘skills, abilities, knowledge and competencies’ are words that will be used in an employee review, if used incorrectly, their meaning can be misinterpreted. This could lead to miscommunication and misunderstandings if there is a difference in how two different HR professionals understand the terms. Ability is an innate quality that one ‘does’ or ‘does not’ possess, ability is not something that can be learned or developed unless it is there to begin with. Simply, abilities are the qualities needed to perform certain behaviors and whether someone is able or not is dependent on their pre-existing qualities. You can think of this much like potential. Take, for example: ‘the ability to organise oneself’. If someone is not able to organise oneself, it means they have not developed the underlying qualities necessary to support their ability. The definition can become complicated though because there are also degrees of ability. Someone can be extremely able, but then not use their ability. Likewise, someone can have very little ability to organise themselves, but can work very hard, with the little ability that they have, and maintain some level of organisation. If someone has a high degree of the underlying qualities needed to give them ability, then that ability can be translated into, and practiced as a skill. A skill is something learned through experience. It is used to carry out complex activities or job functions to achieve pre-determined results. A skill is not an innate behavior and must be developed and improved with practice. A skill can be developed through getting specific training or learning as you go, but always starts off as unfamiliar. Knowledge is the level of education, experience or training that an individual must have at a minimum to be considered qualified for a role. For example, some job advertisements may state that they are willing to accept graduates for a role, while others may state that the applicant must have 5 years of experience in a similar role. Knowledge can be further described as the theoretical or practical understanding of a subject, or the ability to apply the information to different situations. Competence is different from the other terms that we’ve covered so far. It is defined as the combination of related abilities, knowledge and skills that enable a person or organisation to act effectively in a job or situation. Competencies are described in ways that are observable, measurable and based on performance. The abilities, knowledge, and skills required for someone to be termed ‘competent’ will be dependent on 1, what they are being measured against, and 2, the method of evaluation. If one person is referred to as ‘competent’ at their job, versus being ‘competent’ at a specific function of their job, they are being measured on two different competencies. For example, if an accountant is being measure on their competence with working with numbers, this is one measure of competence. If an accountant is being measured on their ‘competence’ in their role as an accountant by a client, this is another separate measure. If two people disagree on whether a person is ‘competent’ or not, within a certain area, it means those two people have different ways of measuring competence; such as arithmetic ability or client satisfaction. Back to our accountant example: If one person thinks that the accountant is competent at working with numbers and another person disagrees, we have to look at how they’re being measured. This is why having an objective measure of assessing competencies is very important, or, at the very least, making sure to agree on the abilities, knowledge and skills required to be competent in in a certain area. We’ve covered some very precise distinctions in this article but it’s often that these misunderstood and misused terms create huge problems when it comes to assessing new candidates, communicating with your team and conducting employee reviews. 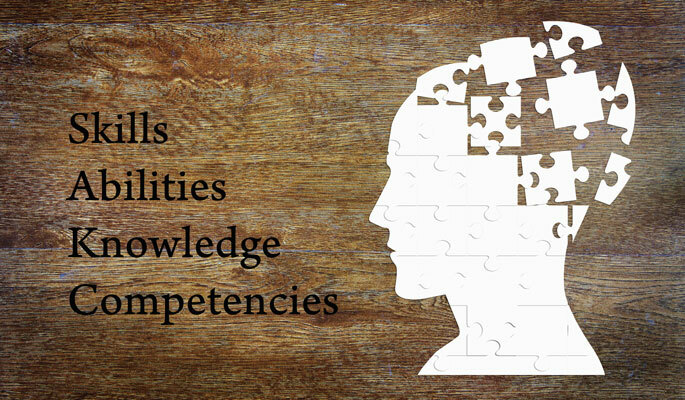 So, if you’re feeling competent… What’s the difference between ability, skill and knowledge?